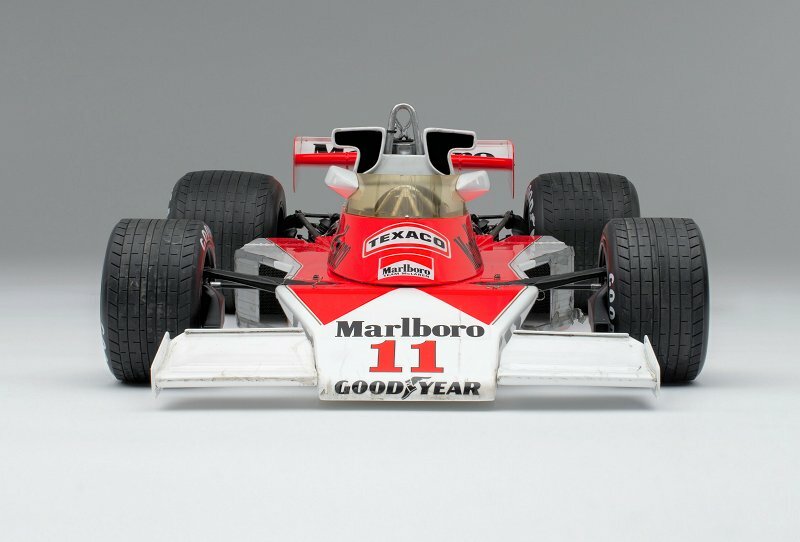 There is something about this era of Formula One that oozes certain emotions. 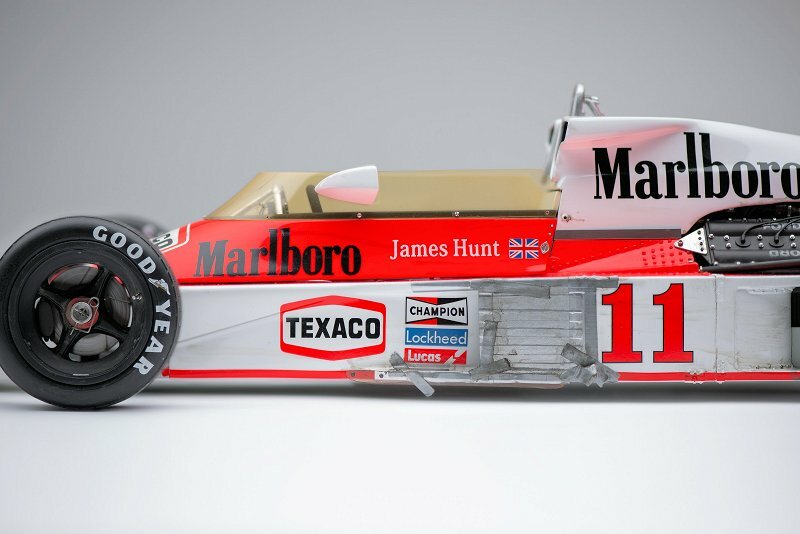 Add a little James Hunt to the mix and the combination is lethal. 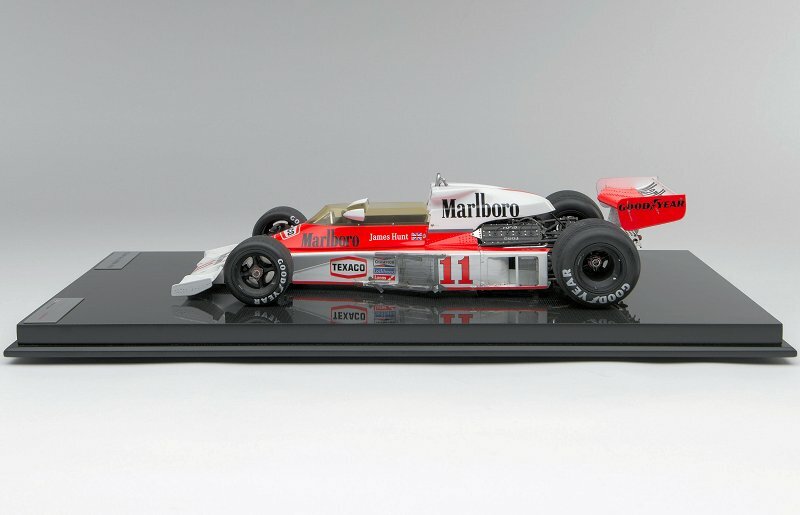 The latest from Amalgam is 1:8 scale race weathered 1976 McLaren M23D James Hunt car, a limited edition of only three. The execution of this piece is just stellar. A piece of racing history for sure. 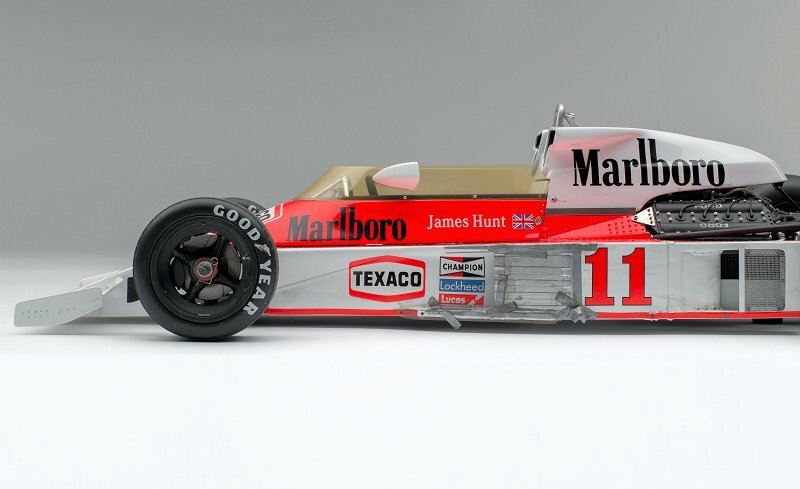 The replica is modelled after the moment Hunt left the pits following a front left tire blow out late in the race. Included with the display case is archine print. If you’re lucky to get your hands on one, the price is north of $11,000US. 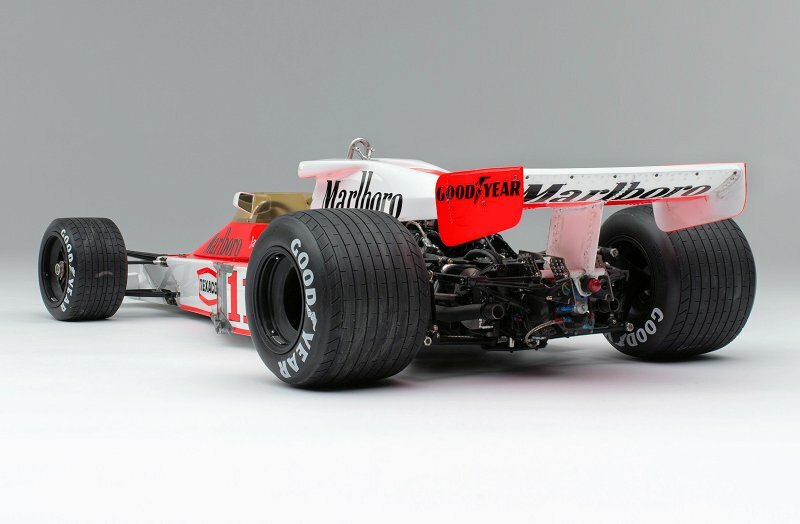 5 Responses to "Amalgam Race Weathered 1976 McLaren M23D"
For me, is bad pay royalties for these models, without engine or interior Details. Wrong…. It is a highly detailed model with full engine and interior, and much more. 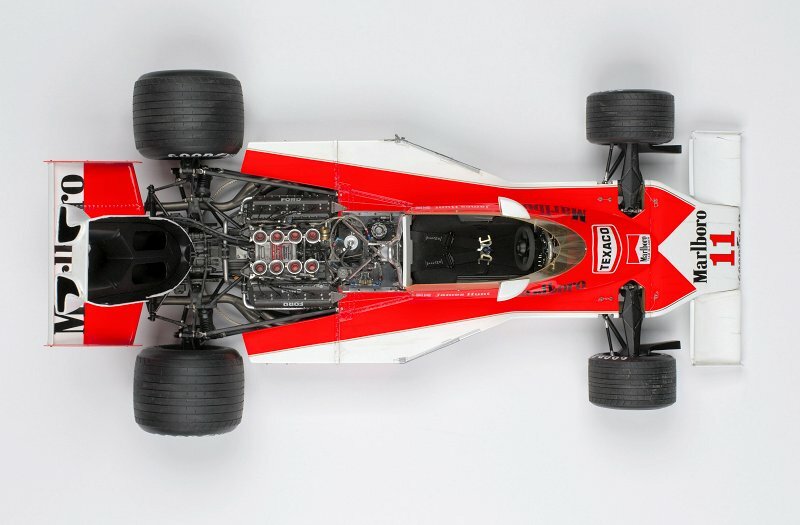 As much as I am a critic of Amalgam for their numerous mistakes and flaws on most of their models… the M23 “clean” pre-race version model happens to be one of the best models they have ever produced. 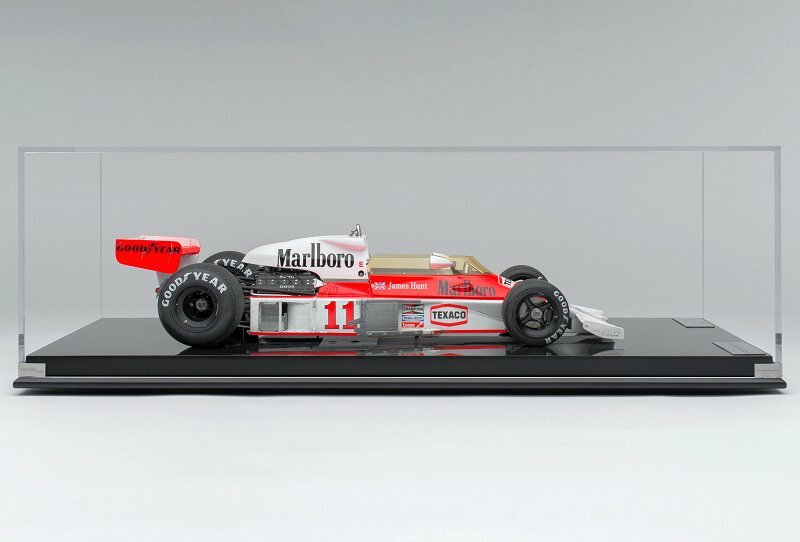 I purchased/supplied one to a friend of mine who owns this 1:1 ‘James Hunt’ M23. Superb model. However….the “dirty” post race version shown here has a few problems….. it would be accurate and better… IF…. it had weathered exhaust pipes, tires and wheels, and more weathering to the windscreen & front suspension. For the price, it should be a bit better. Looks like they might have sort of touched the wheels & tires, but not nearly enough to be accurate for “post race” condition. You are wrong; as an owner of this replica it DOES have a highly detailed interior and the engine cover is hinged to expose the drivetrain. It also has poseable front wings and working steering connected to the cockpit wheel. I´m a novice in terms of Amalgam large scale 1:8 model cars. I´ve always appreciated them though. Can anyone tell what are the materials used in one model, they must be several? The bodywork, in resin, plastic, or die-cast perhaps (hardly). How about the suspension, engine, ancillary parts, etc… What are they made of? 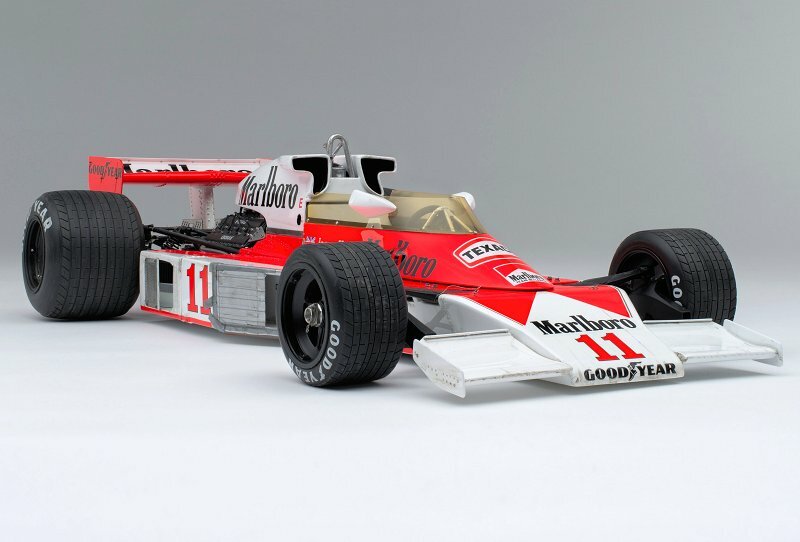 I´m severely considering to purchase my first 1:8 model car, so some guidance is needed. And by the way, how much does these large models weigh – approximately in kilograms?